The Super Surprise Easter Egg Hunt at Acienda! 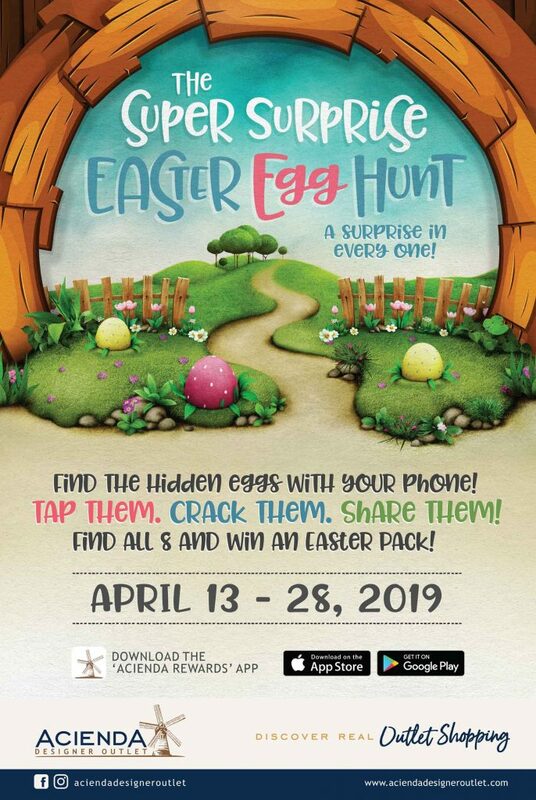 Find the hidden eggs through your Acienda Rewards app! Hunt starts on April 13 to 28! First 50 customers gets a lootbag!